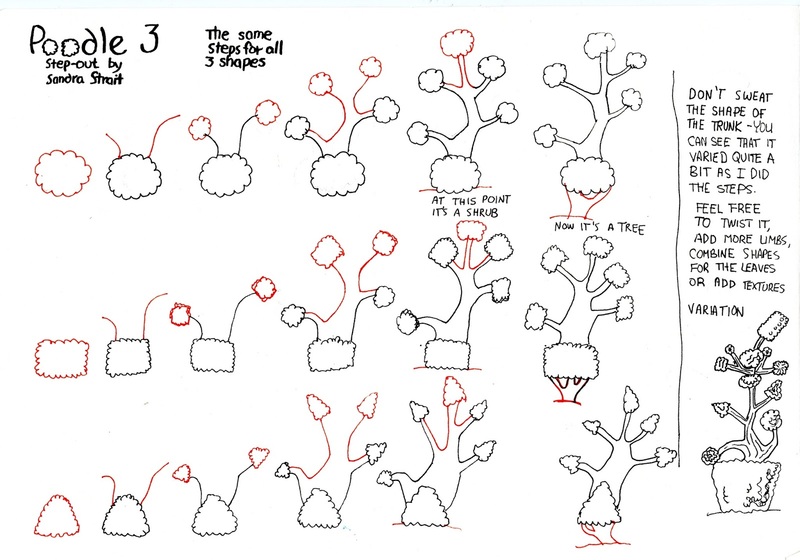 This is a fairly easy plant to draw, yet it was difficult to draw up the steps. That’s because the trunk of the bush or tree can vary tremendously. The main thing is that the base of the plant and ends of the branches have a puffy poodle like foliage.